As usual, Cook didn't provide any model-specific unit or revenue figures. The company did however say that its "Other Products" category, of which wearables are a part, brought in $3.74 billion — and that in the last four quarters, wearables revenue topped $10 billion. The Watch saw mid-40s percent growth in the June period, according to Cook. 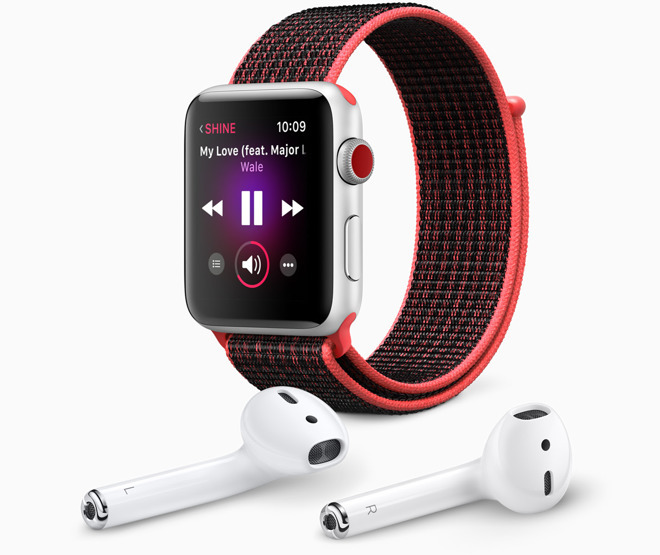 The Watch and AirPods were likely the main revenue drivers, but the company also presumably saw plenty of help from recent Beats headphones like the Powerbeats3 and BeatsX, which like AirPods use Apple's W1 wireless chip for easy pairing with Apple devices and more reliable connections. "It reminds me of the early days of the iPod," Cook said during today's conference call. "When I saw those white earbuds everywhere I went." Apple's June 2018 quarter smashed internal records with $53.3 billion in overall revenue. This was driven largely by sales of 41.3 million iPhones, which pulled in $29.9 billion. Mac and iPad revenues were down, but another positive contribution came from services, which jumped 31 percent to about $9.5 billion.